Welcome! I am a young reseller that scours the Magic City for all vintage things mid century modern, retro, and Hollywood regency. 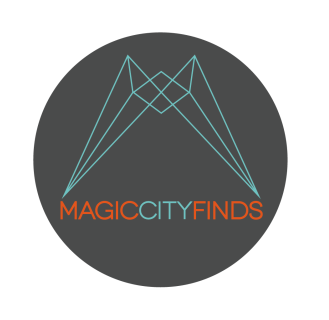 I created Magic City Finds at the age of 13 to sell my carefully sourced pieces. I hope to have you as one of my valued clients. See something you can't live without? Want more pictures or measurements? Call/text Henry at (205)-613-2251 or email to ask any questions. Contact me to arrange a time to see a piece in person, or ask about shipping. I accept PayPal and cash. Never miss out on a new find. Take a minute to subscribe to my mailing list and receive a newsletter every time I post new pieces. Most pieces sell quickly, so this gives you a purchasing advantage. I generally try to update the site with several pieces at one time. Italian ceramic Bitossi lamp. Amazing textured brown pottery with actual rope used as accents. Amazing large scale. This is perfect for any Bitossi lover! A great example of some of the amazing ceramics to come out of Italy. 37” to finial 6.5” Diameter 24” base height.